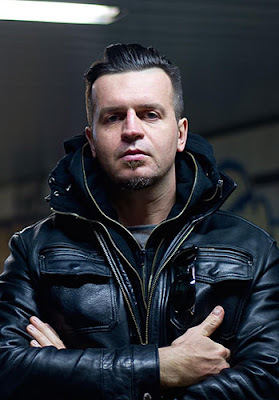 Marcin Wrona is an extremely strong presence in the European entertainment industry, with experience in film, theatre and television directing, as well as screenwriting and producing. He first gained notoriety in film school for his short film Magnet Man, which was featured in several film festivals and highly decorated in its festival circuit. His latest feature film Demon follows an encounter with a dybbuk, which is a demonic entity that has its roots as a part of Jewish folklore. This film promises to be an unsettling and provocative inclusion to the TIFF alumni, making it a perfect fit for Vanguard. I got the chance to chat with Wrona about his work with Demon, and get a little glimpse into his beliefs as a filmmaker. Richelle Charkot: Where did you first learn about the story of the dybbuk? What were your thoughts? Marcin Wrona: Dybbuk is part of our past, culture and history. It belonged to beliefs of Jewish communities, which used to lived Poland. Dybbuk was present in the Polish culture and theatre (famous theatre play called "Dybbuk" written by Szymon An-sky in 1914 - as a kind of scary version of Romeo and Juliet) - as a mystical phenomenon and powerful metaphoric symbol of love between life and death, soul and mind, the past and now. Few years ago I began thinking what the dybbuk could be like in nowadays. I thought this is was a great idea for a film: a ghost from the past comes back to a Polish wedding, as a provocative and uninvited guest who forces all the guest to confront with their own identity. The past that can't be forgotten and erased, because is a part of our DNA. RC: Tell me about one of your earliest memories with expressing yourself visually. MW: In my early school years I had obligatory visit at psychologist who was checking how a child is skilled, what are he's natural preferences and what type of mind he has, etc. I remember I had a task given: draw something what you like. I said I like to draw, especially people faces. I also remember when in my primary school I wrote a short story about plants that talk to each other. Our class teacher suspected I had rewritten it from a novel. RC: Why do you think humans are attracted to horror and the macabre? MW: I think watching a horror is like touching a primal fear. People need that kind of feeling, same like having fun. We look for different emotion so that create our emotional system and scale. I like horrors that offer more than just simple, pure fear. That's way I added more cross-genere elements to Demon. It starts like pure genre, and than gradually becomes multilevel. I hope audience will get that vibe. RC: From your perspective as a storyteller, do you enjoy making typically darker films? MW: Not really. Obviously dark stories seem to be more tempting, but each story has different temperature and mood, so a genre you use for your film depends on energy of a plot and relationships between characters. Everything begins with a story, and then consequently you decide what genre is the most suitable for that specific plot you will finally put info a cinematic frame. The main idea (core of the story) starts all the narrative elements, which are just tools; the director decides which of them are the best for the story you want to share with audience. In every sad stories I look for funny moments. In light I search darkness. The contradictions build a conflict - and viewer interest. RC: Describe someone who is the ideal audience for Demon. MW: I would love to people will perceive Demon as a film which contains universal elements for international and local audience. I hope the concept itself is interesting enough for genre lovers, critics, and those who simply love cinema. Those who like cross-genre films should be especially satisfied.